TORONTO (July 2, 2010) - The Steering Committee of the Molson Canadian World Hockey Summit (Toronto, Canada, August 23-26) has announced the first group hockey leaders, executives and players who will assume instrumental roles at the first international hockey summit in 14 years. The list of speakers, presenters and panellists includes the most influential personalities in the hockey world today. At this point, twenty-six hockey dignitaries who were listed on The Hockey News’ “One Hundred People of Power and Influence” 2009 feature are confirmed as participants. Mike Ouellet(Chief of Business Affairs), Daniel Alfredsson (NHLPA member since 1995, Summit Leadership Team member) and NHLPA certified agents Don Baizley, Pat Brisson and Don Meehan. René Fasel (IIHF President), Alexander Medvedev (KHL President), Daniel Alfredsson (Four-time Olympian, Olympic gold 2006), Ralph Krueger (Longest standing national team coach of modern era), Uwe Krupp (Stanley Cup winner, German national team coach), Slavomir Lener (Director / Head coach Czech National Teams), Jan Filc (World Championship winning coach 2002, Director of Slovak Player Development), Anders Hedberg (IIHF Hall of Famer, NY Rangers Pro-Scout) and Tommy Boustedt (Executive behind the resurrection of the Swedish junior program). Also the IIHF 13-man Council (Board) will attend the Summit. Gary Bettman (Commissioner), Bill Daly (Deputy Commissioner), Brendan Shanahan (Vice president hockey and business development, Triple Gold Club Member No. 13), Darcy Regier (13-year GM of the Buffalo Sabres). Bob Nicholson (President), Steve Yzerman (GM of Canada’s Olympic team, GM of Tampa Bay Lightning, Summit Leadership Team), Hayley Wickenheiser (Three-time Olympic champion, Summit Leadership Team), Mel Davidson (Coach Canada’s women’s team). Dave Ogrean (Executive Director), Brian Burke (GM of U.S. Olympic team, GM Toronto Maple Leafs, Summit Leadership Team), Jim Johannson (Assistant Executive Director, Hockey Operations), Mark Johnson (Coach U.S. women’s team, Olympic gold medallist 1980), Angela Ruggiero (U.S. women’s national team), Peter Laviolette (Head coach Philadelphia Flyers, winningest US-born NHL coach). 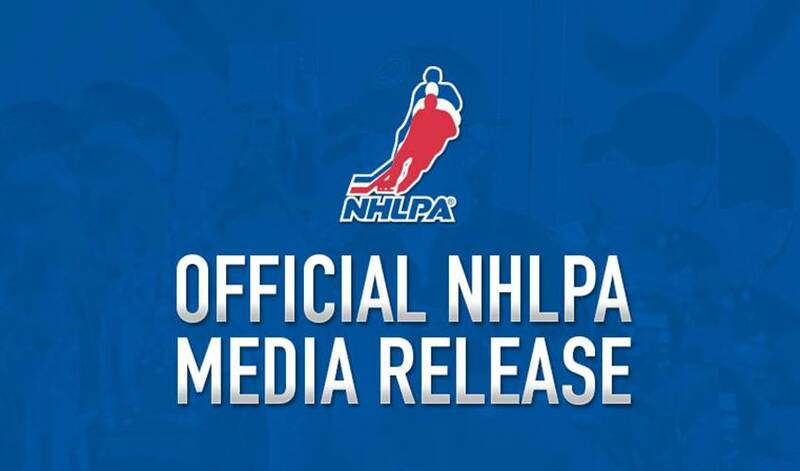 David Branch (CHL President) and Bob Boughner (Two-time Memorial Cup winning coach, Windsor Spitfires) will be among those representing the Canadian Hockey League. The topic sessions at the Molson Canadian World Hockey Summit will be moderated by some of the most well known names in North American broadcasting and journalism; Bob McKenzie, Pierre McGuire, Gord Miller, Darren Dreger, Bob McCown, John Shannon, Paul Romanuk, Jim Hughson, James Duthie and Darren Millard. Go to www.worldhockeysummit.com for more information and registration. The Monday night (August 23) opening Hot Stove Sessions will take place at the Hockey Hall of Fame and the two Tuesday (August 24) sessions will be held at the Air Canada Centre, the home of the Toronto Maple Leafs. The official Summit hotel, the Sheraton Downtown, will accommodate the Wednesday and Thursday sessions. The complete schedule of the Topic Area Sessions and the complete list of all participants will be announced by mid-July. The Molson Canadian World Hockey Summit is an event designed to dissect the current state of hockey and collaboratively identify and address key concerns and issues facing the game today. The Summit’s theme, Global Teamwork Promoting the Growth of the Game, will be brought to life through interactive seminars, presentations, and discussions led by the who’s who of the global hockey world. The Summit's steering committee includes the International Ice Hockey Federation (IIHF), Hockey Canada, USA Hockey, the National Hockey League (NHL), the National Hockey League Players’ Association (NHLPA), the Canadian Hockey League (CHL) and the Molson Coors Brewing Company.